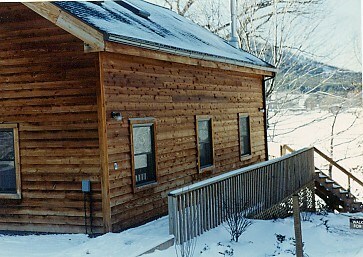 Chalet on Deep Creek Lake with view of Wisp. Dock with boat slip; pedal boat, swim inflatables. Four bedrooms, 2.5 baths, AC, W/D, 5 TVs.